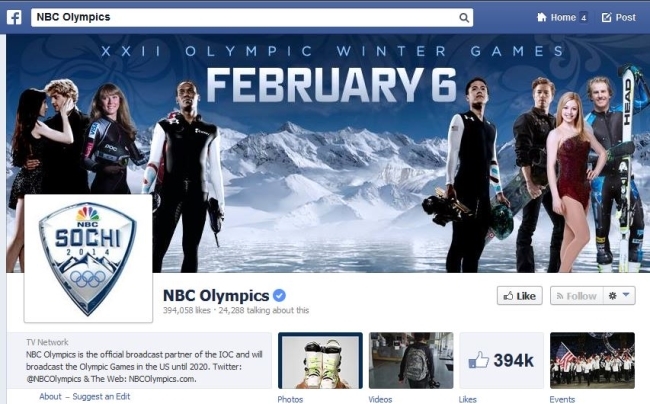 Facebook and Instagram demonstrated their Olympic spirit by reaching a deal with NBC Sports Group’s NBC Olympics to bring social elements to content from the 2014 Winter Olympic Games, which will be held in Sochi, Russia, Feb. 7 through 23. NBC Olympics, Facebook, and Instagram will work together to bring social elements to and drive conversation about content from the Games. As part of the partnership, NBC Olympics video content is being featured on Facebook for the first time, starting with the feature below, documenting the friendship that spawned between U.S. short-track speed skater J.R. Celski and hip-hop star Macklemore. The NBC Olympics Facebook page will also feature a question-and-answer session with commentator and U.S. figure-skating gold medalist Sarah Hughes, as well as breaking news, Olympics-related information, polls, photo galleries, trivia, and images to share. The Olympics is the world’s premiere sporting event. People will use Facebook and Instagram to connect and share with their friends and the global community in real-time. Our partnership will help NBC Olympics use the Facebook and Instagram platforms to connect directly with their viewers to enhance the viewing and digital experiences. Building off of our successful collaboration for the London Olympics, we have expanded our relationship to better serve Olympic fans’ insatiable appetite for Games content, all with an eye on driving viewership to our multiplatform coverage. We will use our unique access to all aspects of the Sochi Games to ignite the Olympic conversation and engagement on Facebook. Readers: Do you plan to interact on Facebook or Instagram during the 2014 Winter Olympic Games?